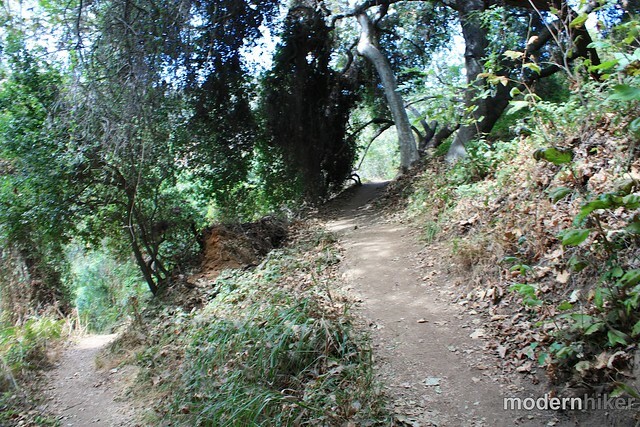 On my initial trip to Franklin Canyon Park, I wanted to try to do a large loop that linked the southern and northern portions of the park together – but I was thwarted by some confusing maps and unsigned trails. Instead, I split my trip into two separate loop hikes. This northern loop is shorter, flatter, and generally pretty easy all-around. For the purposes of this write up, I started on the ranch trail near the intersection of Lake Drive and Franklin Canyon Drive, but you could pretty much hop onto this loop from anywhere along the route. Parking is very limited at this intersection, but there’s plenty of room further north or south. If you start at this intersection, across the street from the old building there’s a short wooden bridge over a creekbed. Cross it and continue climbing up into the shaded forest. 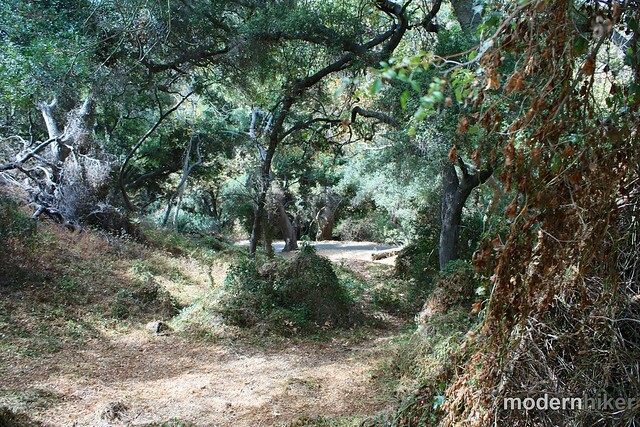 In a very short distance – about 225 feet – this spur trail intersects with the Ranch Trail at a sharp corner. 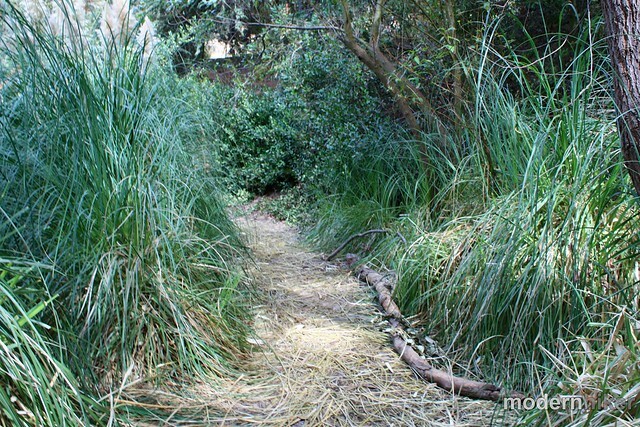 Bear left to follow the trail north, parallel with Franklin Canyon Drive. 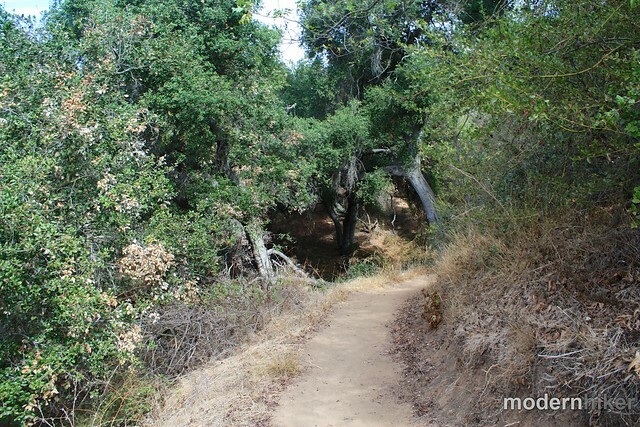 Here, the trail levels out a bit as it meanders through the woods toward the Upper Franklin Canyon Reservoir. 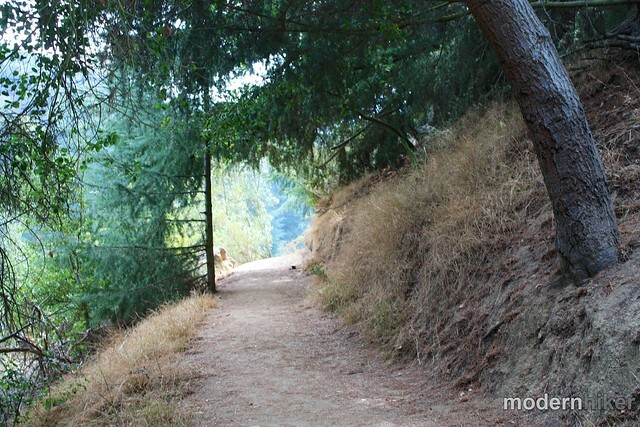 This is a short but really lovely stretch of trail that at times doesn’t even feel like it’s in Southern California – and it certainly doesn’t feel right outside Beverly Hills. Ignore the trail to your left at around the 0.3 mile mark and continue on the Ranch Trail until you end up at a street crossing near one of the park’s many motion-sensor traffic cameras. 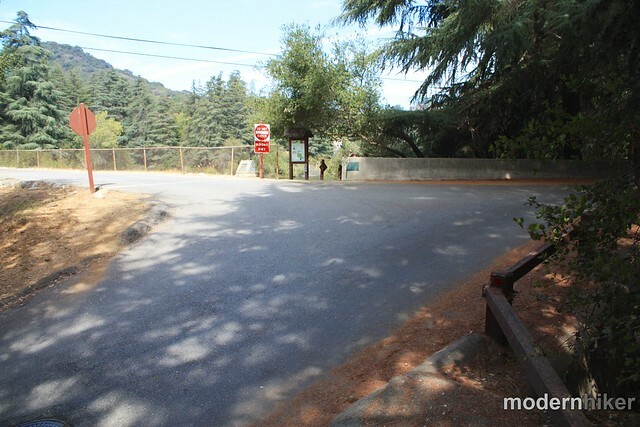 Cross the intersection straight ahead toward the information sign and you’ll end up right along the shore of Upper Franklin Canyon Reservoir. From here, the trail pretty much follows the shore of the reservoir around the entire body of water. 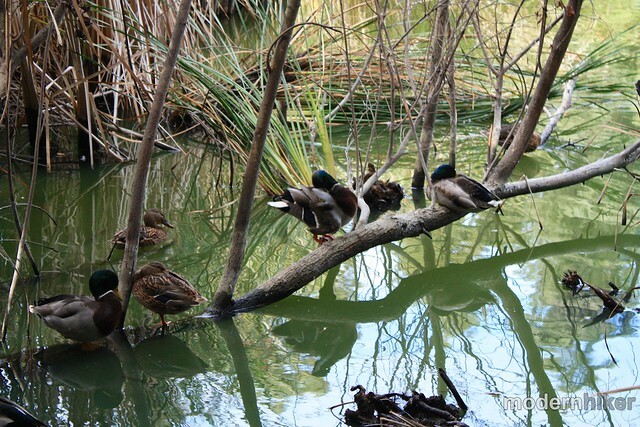 When I went, there were a TON of birds – especially ducks – all over the place. And in many part of the trail, it felt like I was walking through a saltwater marsh somewhere on the coast, not near a reservoir in the middle of the mountains. Also, if you’ve got a hankering to recreate the opening credits of The Andy Griffith Show, now’s the time to do it. This path loops around the north side of the lake and leaves the shore on the west bank to rejoin the road after making its way through a small grove of evergreens. 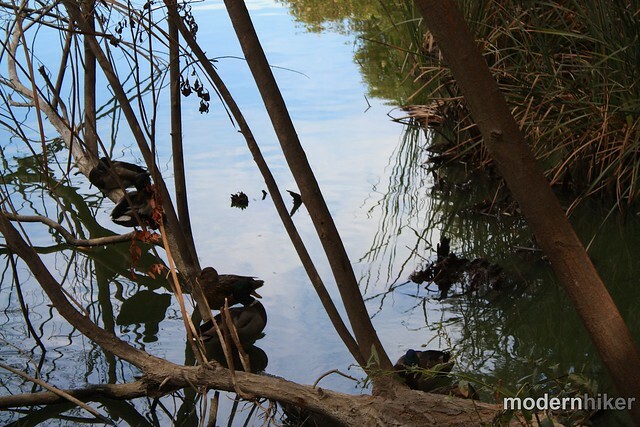 From here, you can cross the street and make a very short loop around Heavenly Pond, another favorite hangout for the local duck population. 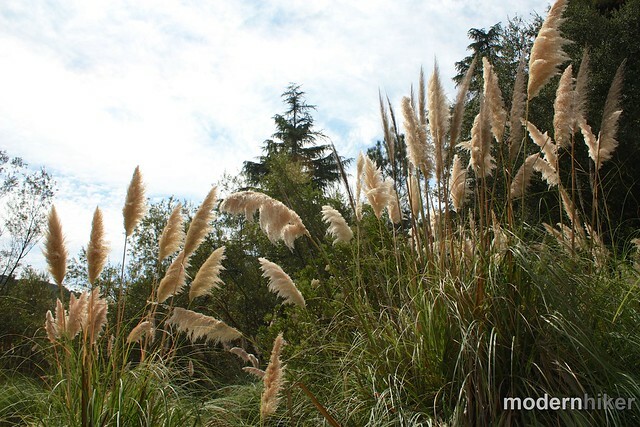 After returning from Heavenly Pond, rejoin Franklin Canyon Drive and head south. You can either rejoin the trail at the intersection or just follow the road back to the intersection with Lake Drive. Very good. There are a lot of trails around the reservoir and very few of them are marked, but this is a pretty easy loop trail to follow. From Sunset in Beverly Hills, head north on Beverly Drive. At the intersection near Coldwater Canyon Park and a fire station, keep left at the light to stay on Beverly. The street narrows in a residential neighborhood and in under 2 miles, take a right at the stop sign onto Franklin Canyon Drive. 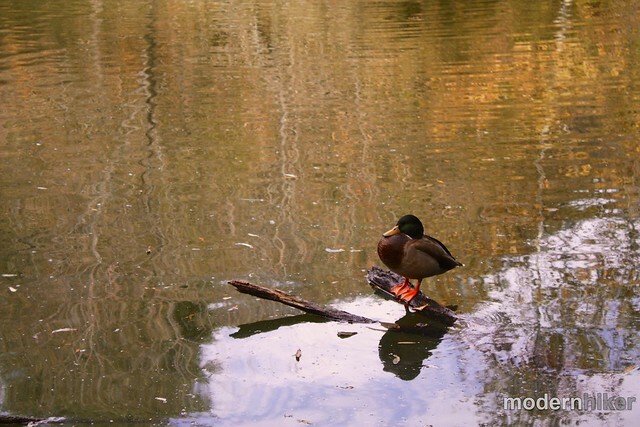 Enter the park and in 1.1 miles, veer right onto Lake Drive. There is a small parking area near an old house, and more parking further south on the street. Beware of motion-sensor cameras at stop signs. Where exactly is the dirt road where the opening credits of the Andy Griffith show was filmed? We walked around the lake two times and couldn’t find it! Are there any landmarks or signs to help find it? Thanks, you inspired me to go and check out this place. There is so much to do it was a bit overwhelming so next time I'll follow one of your suggestions more closely. Going to tag you in my post "Los Angelenos like to ... hike!" Cheers. 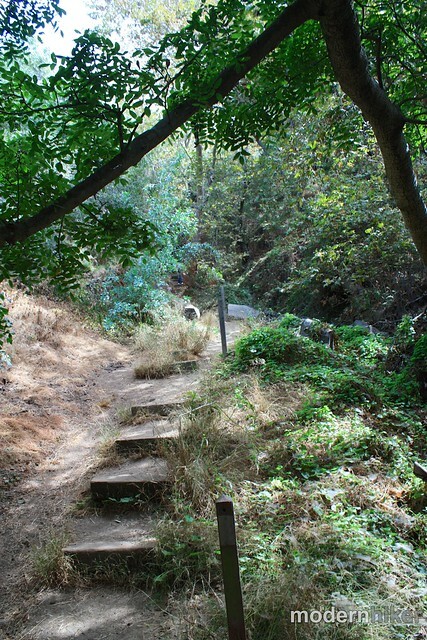 We started here today, same bridge and steps but we ended up on Ranch Trail which does not loop back down to the road. 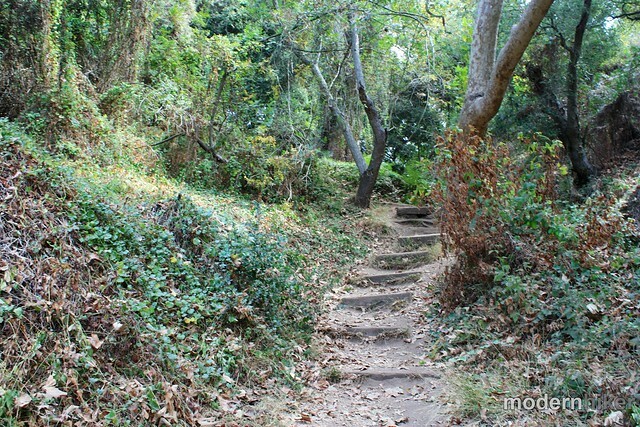 It gets narrow and steep and eventually dead-ends at someone's back yard (a house up on Beverly Ridge Terrace). The descent was very difficult with lots of trail branches that end nowhere. It may be in the heart of a residential area but all the same I was happy it was not close to daylight's end. Like some other trails marked on the map here, this one was almost disused and overgrown. This whole canyon could do with some markers and signposts on all these small animal, fire, wash and natural breaks that look just like trails, but may not be trails. 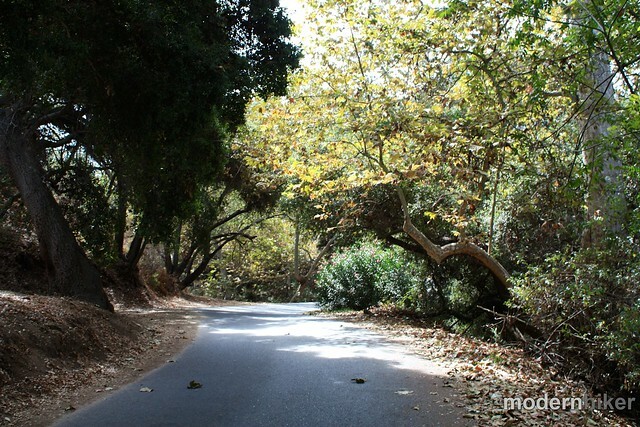 We are planning a trip to LA and wonder if we could get very specific directions to the site in Franklin Canyon Park where the Andy Griffith opening scene was filmed?